Understanding your spinal stenosis prognosis is important when it comes to making the best choices about safe, effective treatment. Spinal stenosis is a condition that is always in flux and usually worsens with time. However, most cases do not progress to the point of severe symptomatic activity or threatening neurological functionality. Therefore, it is very critical that every patient receives an accurate and objective prognosis for their diagnosis. Prognosis is a word that means an educated guess as to how the stenosis will change in the future and the collateral results of those changes. In essence, it is an attempt by doctors to provide patients with a complete picture of their condition going forward to help them make better decisions now as to what should be done to treat the spinal canal narrowing. This essay explains the importance of understanding the diagnostic prognosis for spinal stenosis. We will also provide cautions on the topic that must be thoroughly understood by patients in order to prevent them from making errors in judgment when it comes to necessary versus optional treatment. Central spinal stenosis is normal to experience in high mobility regions of the vertebral canal. 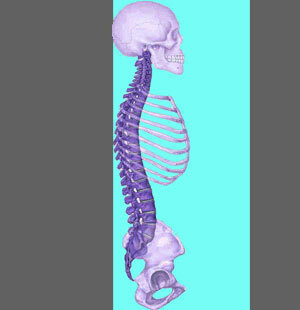 This includes the lower lumbar and mid to lower cervical spinal levels of the backbone. Being diagnosed with central stenosis past the age of 50 should be no surprise to any person who has lived a normal life. As age increases, so does the likelihood of being diagnosed. Central spinal stenosis is a progressive condition in most instances, meaning that narrowing of the spinal canal will most often worsen with time. However, despite this fact, most central stenosis will not reach the degree of becoming symptomatic. Actually, most cases should be considered completely normal and nonissues unless they begin to act negatively upon the neurological tissues within the central canal space. In the cervical spine, the spinal cord traverses the vertebral canal. A marked reduction in patency here can compress the cord, potentially generating nightmarish experiences of pain and neurological dysfunction. Likewise, in the lower back, stenosis in the central canal can compress the nerve roots of the cauda equina, creating the medical emergency known as cauda equina syndrome. Foraminal stenosis is a much less serious diagnosis, since the worst that can happen in this scenario is the limited effects of a single level (usually unilateral) compressive neuropathy. There is no doubt that a single pinched nerve is far less significant than symptomatic central spinal stenosis. Most foraminal stenosis also falls into the completely normal and asymptomatic variety. The neural foramen throughout the spine tend to decrease in effective size with age and degeneration, yet few become small enough to actually compress the exiting nerve root. Foraminal stenosis is basically universal in areas of the mid to low cervical spine, as well as in the lower lumbar spine. Foraminal stenosis is also a progressive condition, with most cases becoming more significant over time. More cases of foraminal stenosis become symptomatic than cases of spinal stenosis. However, truly symptomatic examples of foraminal stenosis still only account for a relatively small part of the total number of diagnosed cases. Successfully treating a truly pinched nerve root due to symptomatic foraminal stenosis is easier than treating central spinal stenosis and usually involves a less invasive surgical undertaking. Results are also better, with faster recoveries and less collateral complications statistically. We have 2 very different warnings for readers who have been diagnosed with spinal stenosis of any variety. It is important that patients stay active in their care in order to reduce the chances of suffering some terrible calamity due to the condition itself or from pursuing treatment for the condition. The first warning goes out to all patients with severe stenosis and especially those patients who are experiencing central canal stenosis that is influencing the spinal cord. We caution that these issues can progress to horribly symptomatic degrees if left unattended. Therefore, we suggest seeking expert care for diagnosis, monitoring and treatment (when needed) from a spinal neurologist. Our second warning is just as important and is valid for many more readers than the first. We also caution patients who have been diagnosed with any type of stenosis to learn the facts of the condition and understand clearly that most cases are not symptomatic and will never become so. However, treatment is likely to be offered and is objectively considered optional for most patients. Many patients who demonstrate stenosis and incidental back pain are misdiagnosed and placed into surgical treatment that usually delivers disappointing results. Therefore patients are warned to be certain that any diagnosis is not only accurate structurally, but also is the true cause of symptoms, before pursuing any type of spinal stenosis treatment.